Step 1) Collect Menu Options. Every Sunday & Monday, Nick and Toni’s offers a limited selection of items on a 2-course Prix Fixe Menu for only $28. 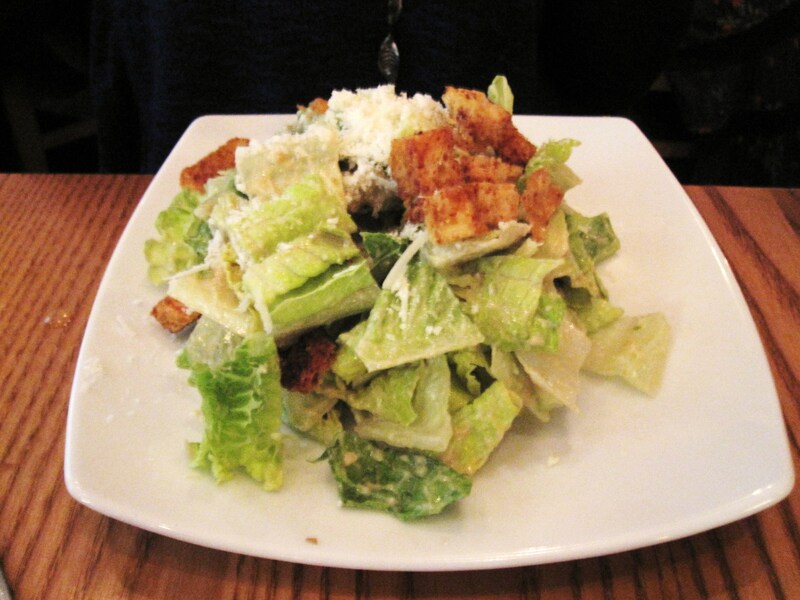 Let me just say – the Caesar Salad was one of the best I’ve ever had – it was so creamy and the croutons were amazing. 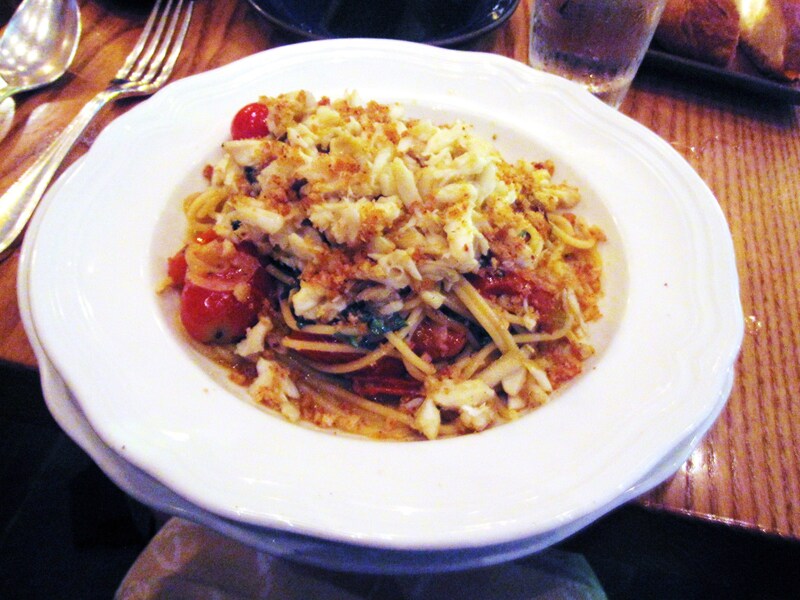 The Spaghetti, which is apparently Howard Stern’s favorite thing on the menu, did not disappoint either – the crab meat was fresh and tender and the breadcrumbs added a perfect crunch to each bite. The Field Greens dish was very basic, but an excellent healthier option – my dinner date also enjoyed the Salmon, which was grilled to perfection. Step 3) Profit! Off of FREE movie tickets, that is. Yep, you read right – with each Sunday/Monday night Prix Fixe meal, you get a FREE AMC Movie Voucher redeemable at any time (and it never expires). You can even upgrade it to an Imax or 3D ticket for a couple extra bucks. 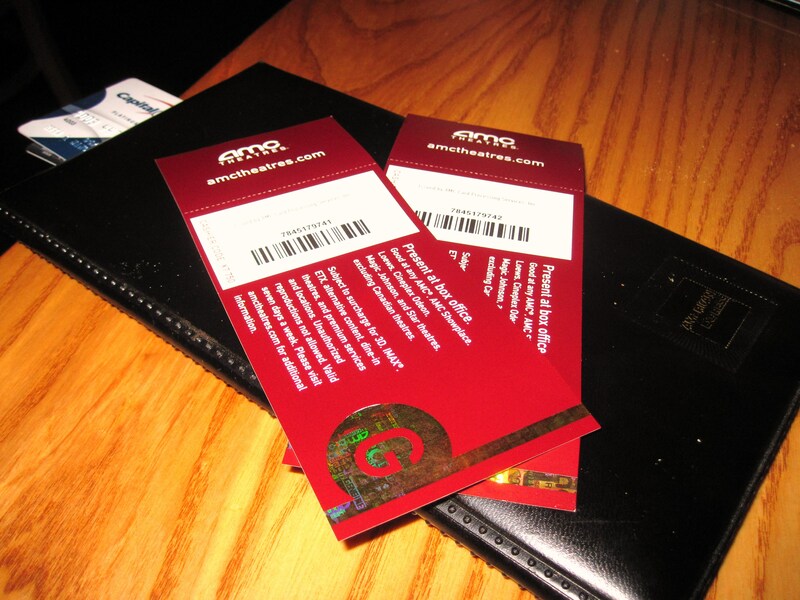 Plus, since you don’t have to use them that night, if your dining bud turns out to be a dud, pocket your ticket and go another time with a different date (play on, playa). So go forth, dine fine and get some – free movie tickets. Just do me a favor and don’t steal your date’s underpants Spaghetti – like me, she may be completely unwilling to share.